Scotland wants to become a world-leading entrepreneurial and innovative nation – a CAN DO [PDF] place for business. At the Scottish Funding Council (SFC) we support this ambition by using our investments, policies and leadership to help create an education system with entrepreneurship and innovation at its core. It’s our contribution to an intent shared by many organisations in Scotland and brought together under the umbrella of Scotland CAN DO. Whether you’re a business leader, an entrepreneur in the making, an academic or a student we have an initiative that will help you to be involved in Scotland’s future as a CAN DO country. SFC-funded Scottish Innovation Centres represent a long-term, £130 million investment in the values of Scotland CAN DO. They are business-led and unique in their ability to combine commercial knowledge with specialist expertise from Scotland’s world-leading universities. The eight centres welcome approaches from businesses who want to work with leading academics. For small and medium-sized enterprises (SMEs) we fund Interface to match businesses with the academic expertise in universities and colleges across Scotland. Business-academic projects supported by Interface have enabled Scottish companies to generate £64.2 million gross value added (GVA) a year for the Scottish economy. Contact Interface today to see what it can do for your growing business. The Scottish Funding Council funds the Scottish Institute for Enterprise (SIE). SIE organises a range of programmes to help students develop enterprise skills, discover their entrepreneurial talent and start up their own ventures. Fresh Ideas offers cash prizes to help develop ideas into live business ventures. The Scottish Innovative Student Award gives students the opportunity to tackle real life challenges and I’m an Innovator is a competition that concludes with a residential boot camp. SFC funds Converge Challenge, a Scotland-wide company creation programme for staff, students and recent graduates of Scottish universities and research institutes. Its aim is to help create a new generation of entrepreneurs for Scotland. SFC also provides Scottish Government funding for Ingenious and Enterprising Women in Scotland. Led by the universities of Glasgow and Edinburgh, this programme supports female early career researchers in industry and academia to develop entrepreneurial skills and realise the full potential of their ideas. The Scottish Government funded Bridge 2 Business offers students opportunities to engage with entrepreneurial role models and develop creative thinking and problem solving skills. Finally, Scotland Can Do Scale is a three-day residential programme that brings together high-growth businesses and some of the world’s leading experts in entrepreneurship. 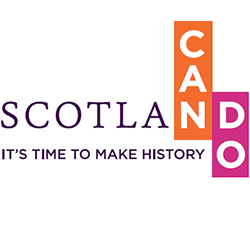 Using the Can Do Scale summer school as a model of good practice SFC, in partnership with Scottish Enterprise and Highlands and Islands Enterprise, has issued a call for proposals [PDF] to Scottish universities for up to three, two year pilot entrepreneurial scale-up education programmes.